Republicans need to review the past in order to effectively move into the future. And Republicans need to regain their core values fast in order to effectively work through the current Obama Administration’s march toward socialism. The Republican past is not John McCain, much as he is loved and admired. And though many of us think about Ronald Reagan, we must grasp the values and not the personalities we need now — a personality will rise in his or her own time. Mark Levin’s book “Liberty and Tyranny” is an effort to get us all to think again about the values we need. Judd Gregg, who nearly became Barack Obama’s Commerce Secretary, seems to have regained his good thinking and is now speaking out about the Obama budget. “It just seems inappropriate and irresponsible to spend so much that we send along a huge debt to our children and grandchildren,” he said today on the Fox News Channel. So is that a good thing? Republican cannot allow Rahm Emanuel, Robert Gibbs and the others to define them. Democrats fear a united conservative movement and have worked hard to make the discussion about Limbaugh or Steele. The discussion is not about who. The discussion is about the values and how best to achieve them. With the nation in an extreme economic crisis: it is still business as usual among many of the nation’s political elite. Pennsylvania Gov. Ed Rendell predicted on Thursday that Michael Steele‘s “days are numbered” as chairman of the Republican National Committee. “He’s in trouble because I just think that those who control the Republican Party don’t want a big tent,” Rendell told reporters during a lunch hosted by the Christian Science Monitor. Rendell, a past chairman of the Democratic National Committee, said he believes the approaching special election in New York’s 20th Congressional District — to replace Democrat Kirsten Gillibrand, who was appointed senator — is not likely a make-or-break event for Steele, whom Rendell said also faces more fundamental problems. The RNC had no immediate comment on Rendell’s remarks. Democratic strategist James Carville responded to a FOX News report Wednesday that revealed he expressed hope in 2001 that President Bush would fail. Carville told CNN that unlike Limbaugh, who recently said he wants President Obama to fail, Carville retracted his own missive — uttered to a group of reporters on the morning of Sept. 11, 2001 — just minutes later, when he learned of the terrorist attacks on America. Carville was responding to Limbaugh’s statement earlier Wednesday in an exclusive FOX News report on Carville’s 2001 comments. “The difference between Carville and his ilk and me is that I care about what happens to my country,” Limbaugh said. “I am not saying what I say for political advantage. I oppose actions, such as Obama’s socialist agenda, that hurt my country. 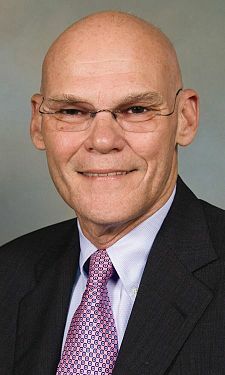 FOX News revealed Carville’s controversial 2001 remark in a story that pointed out the mainstream media’s failure to report the statement. By contrast, the press gave major coverage to Limbaugh’s expressed hope that Obama fail. The influential conservative has emphasized that he wants Obama’s liberal policies to fail, not the president himself. Click here for the original report on Carville’s remark. At his 2001 breakfast with reporters, Carville was joined by Democratic pollster Stanley Greenberg, who delighted in a survey he had just completed that revealed public misgivings about the newly minted president. Obama’s boy wonders, including his Chief of Staff, Rahm Emanual, remind me of the Richard Nixon era. Back then, Republicans hired a political screwball named Donald Segretti to pull pranks on the Democrats. He issued some false press releases, told trains bearing Democrats to leave before the party leader’s scheduled departure and generally waged tom foolery. 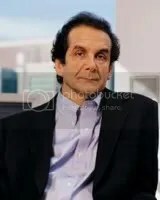 But Chief of Staff Emanuel, James Carville and others including Paul Begula have raised the bar a notch by attacking one single American citizen who has never held a political office: Rush Limbaugh. Limbaugh’s radio show has doubled its ratings since Democrats said Limbaugh wanted Obama to fail. But when George W. Bush was the new guy, Democrat James Carville wanted HIM to fail….. The press never reported that Democratic strategist James Carville said he wanted President Bush to fail before the Sept. 11 terrorist attacks. But a feeding frenzy ensued when radio host Rush Limbaugh recently said he wanted President Obama to fail. That omission stands in stark contrast to the feeding frenzy that ensued when radio host recently said he wanted President Obama to fail. The press devoted wall-to-wall coverage to the remark, suggesting that Limbaugh and, by extension, conservative Republicans, were unpatriotic. Limbaugh, a staunch conservative, emphasized that he is rooting for the failure of Obama’s liberal policies. You are currently browsing the archives for the Limbaugh category.